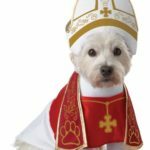 This post contains affiliate links and I'll earn a small commission if you shop through them. This is how we help to make money so we can continue to bring you amazing content. 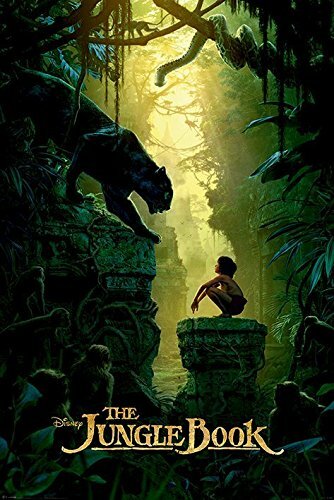 With the release of the new version of The Jungle Book, some children are being introduced to characters like Mowgli, Shere Khan, and Baloo for the first time. 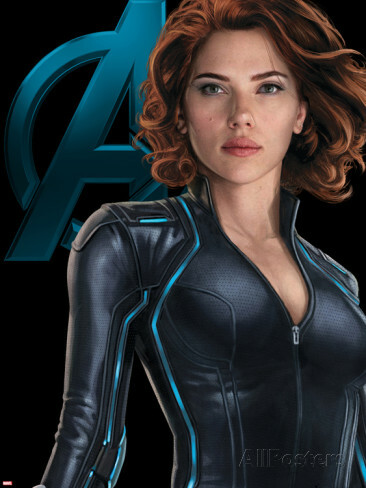 Whether seeing the beloved animated classic or the new live action version, kids of all ages are sure to love this movie. 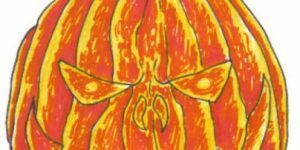 This is why The Jungle Book makes a great theme for a not so scary Halloween party for the younger crowd. 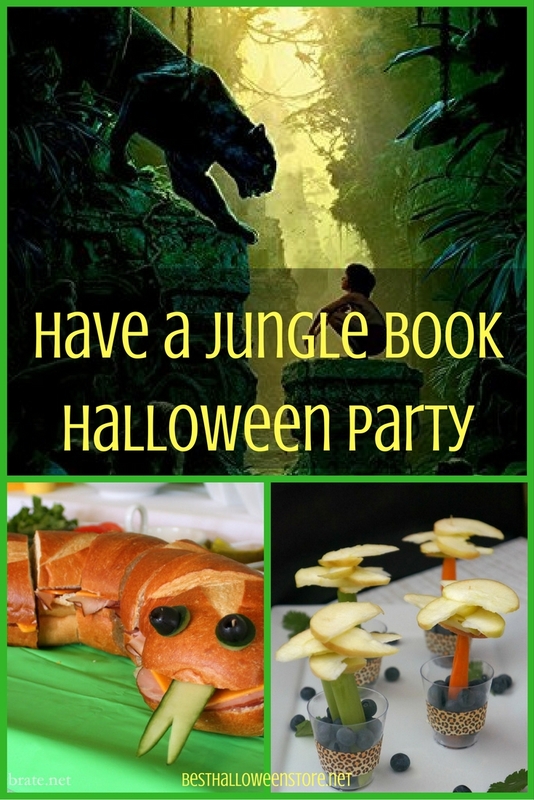 Here are some ideas for planning your own Jungle Book Halloween party for kids. 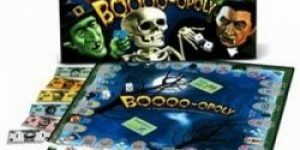 Ideas are included for invitations, activities, decorations and party food. 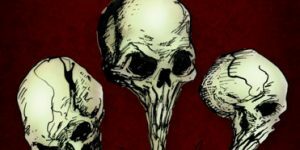 Let your guests know about your Halloween bash with these great printable invitations from Etsy sellers. Choose from either the animated version or new live version of this Disney classic to grace the front of your invites. 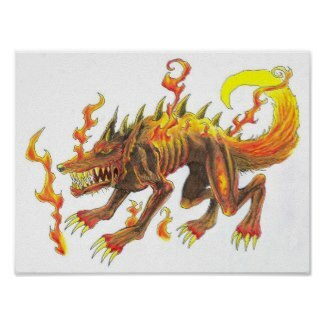 This invitation is available as a printable personalized digital JPEG or PDF file, or as a printed invitation. Colorful design features a pretty outdoor scene with small waterfall, with Mowgli sitting upon the stomach of his buddy Baloo, while other characters look on from the vines and trees above. 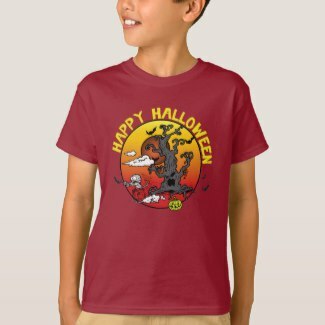 Customize the text for a Halloween party instead of a birthday party. 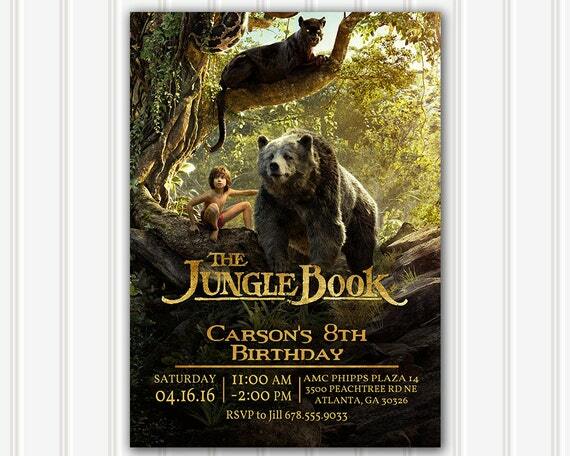 This invitation features a scene from the live movie version with Mowgli and Baloo, with the snake and tiger lurking in the trees. 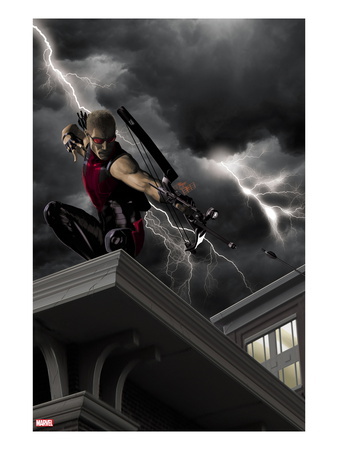 Card features great outdoor scenery. Customize your text and receive a printable high resolution JPG file for printing. No Jungle Book party would be complete without decorations. 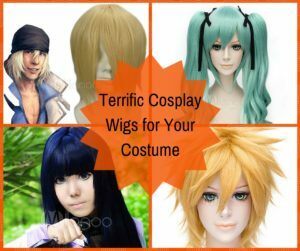 Here we look at some great suggestions to fit in with your Halloween party theme. 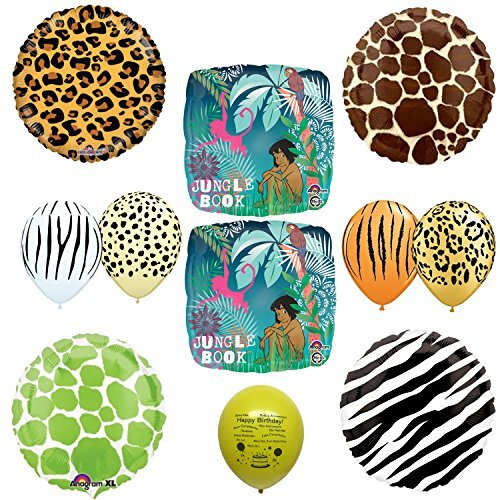 This is a set of eleven balloons that includes 2 with an animated Jungle Book scene, (4) 18 inch animal print Mylar circular balloons, (4) 11 inch safari animal print latex balloons, and (1) 11 inch Happy Birthday balloon (which you wouldn't have to use for a Halloween party). 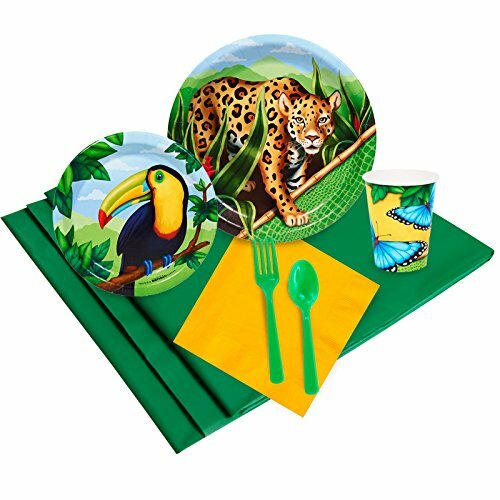 While not specifically Jungle Book , these great colorful plates, cups, and napkins will fit in with any jungle themed party. Set includes 8 paper dessert plates, (8) 9 ounce cups, 50 lunch napkins in green, 8 paper dinner plates, 8 sets of plastic forks and spoons, and one plastic table cover. Plates feature leopards and toucans and cups feature colorful butterflies. 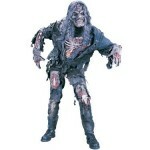 These mini figures range from 1.5 inches to 2.5 inches tall. Grace your cupcakes or cake with mini figures from the animated classic. Includes Mowgli, Kaaa, King Louie, Baloo, Basheera, and more. 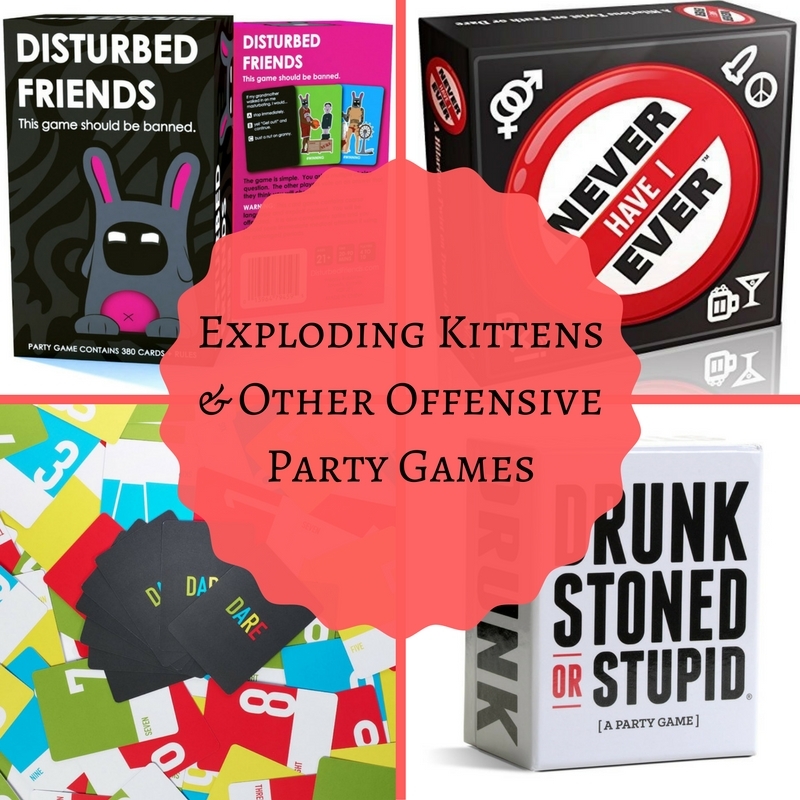 Having a party for little ones means keeping them entertained. 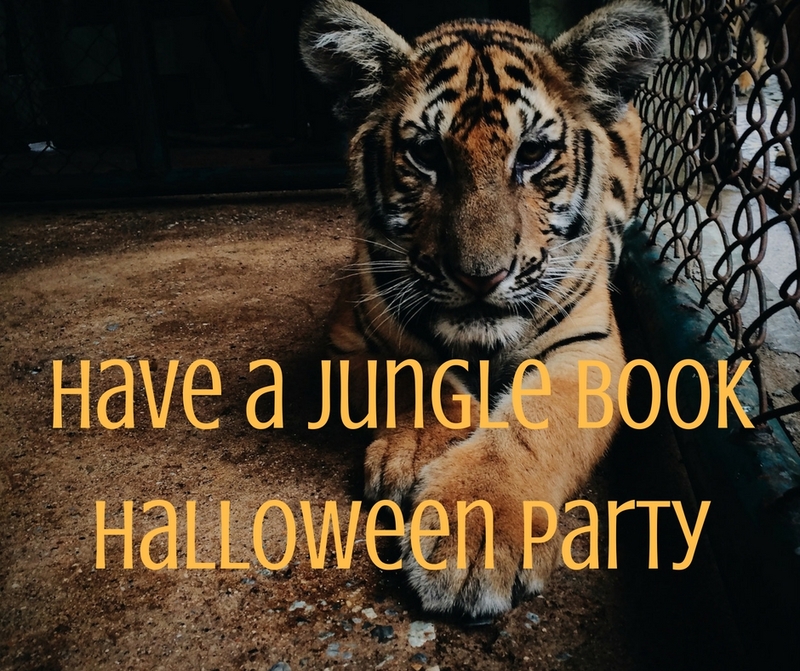 Make your Jungle Book themed Halloween party a roaring success by using some of these ideas. 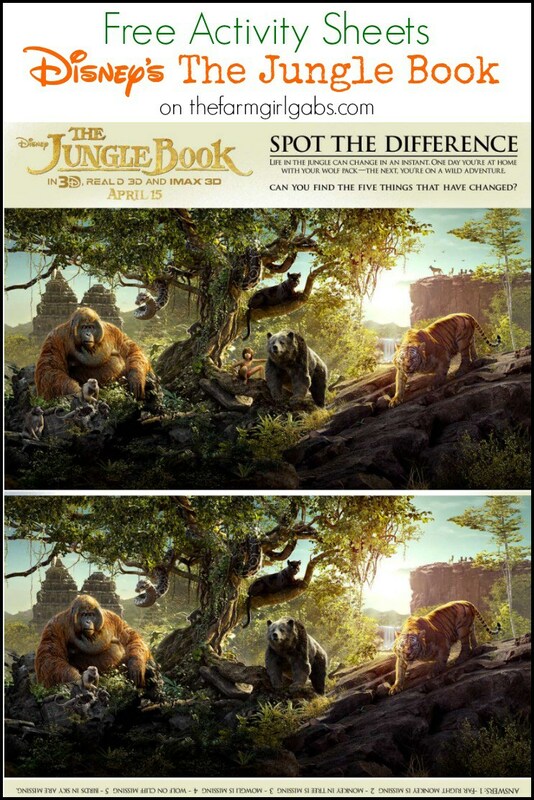 Don't forget to have copies of the animated classic The Jungle Book, as well as the new live action version available for your party guests to view. Hide some plastic animals around a designated part of the house or party venue and have your little safari members hunt them down. Kids will have fun wearing safari hats and taking their binoculars with them on their big hunt. 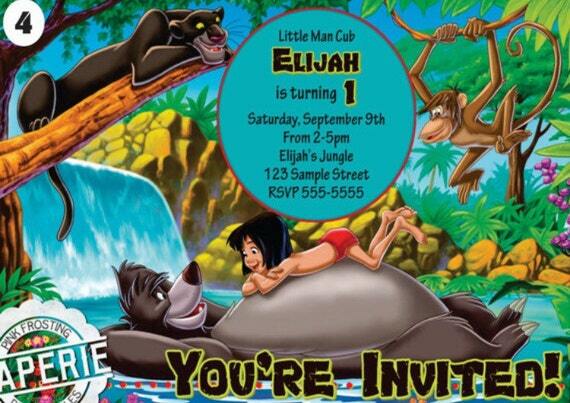 Visit Coolest Kid Birthday Parties for other ideas for a jungle safari themed party. 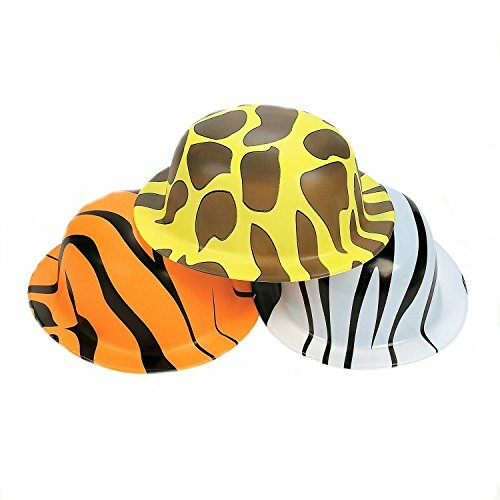 These animal print derby hats would also work well as safari hats. 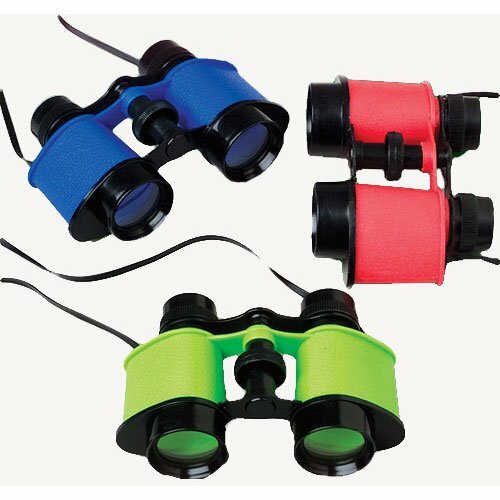 Provide your party guests with these toy binoculars to make their hunting a success. 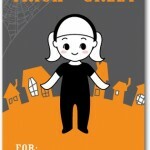 The Farm Girl Gabs website offers fun downloadable printable activity sheets. 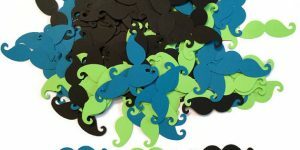 Kids will love the Spot The Difference page, as well as the maze and craft page to make a Hexaflexagon. 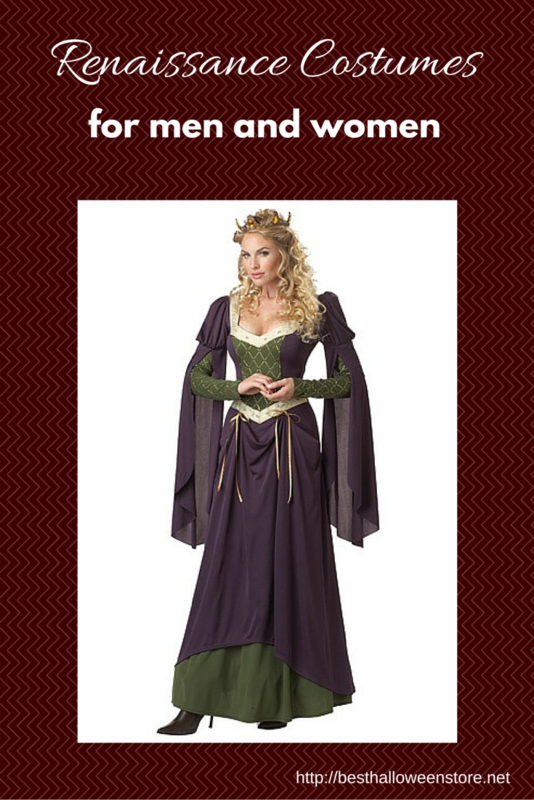 Click the image below to visit the site. 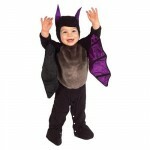 Your small guests will likely have big appetites. 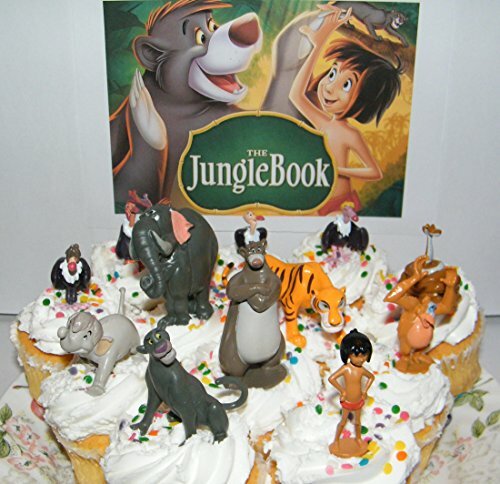 Here are some fun ideas for keeping them fed and happy while sticking with your Jungle Book theme. This amazing sandwich was made from two loaves of French bread cut at the bias and turned in such a way as to form the body of a slithering snake. 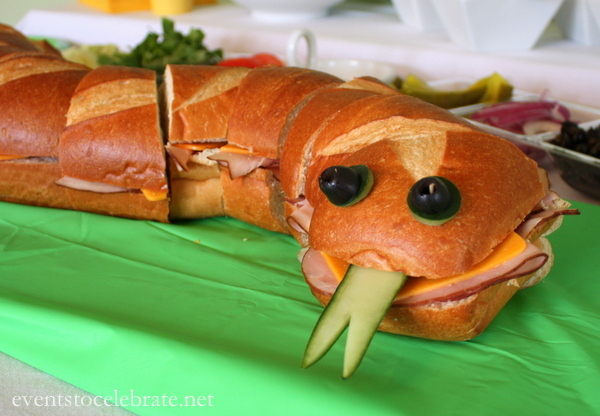 The meat and cheese were added to the sandwich, while the rest of the topping options were cut and displayed alongside the snake in small serving dishes for the guests to build their own sub sandwich. A cucumber slice was cut to resemble the tongue of snake and placed in the front end piece, and black olives were used to create eyes for the snake. 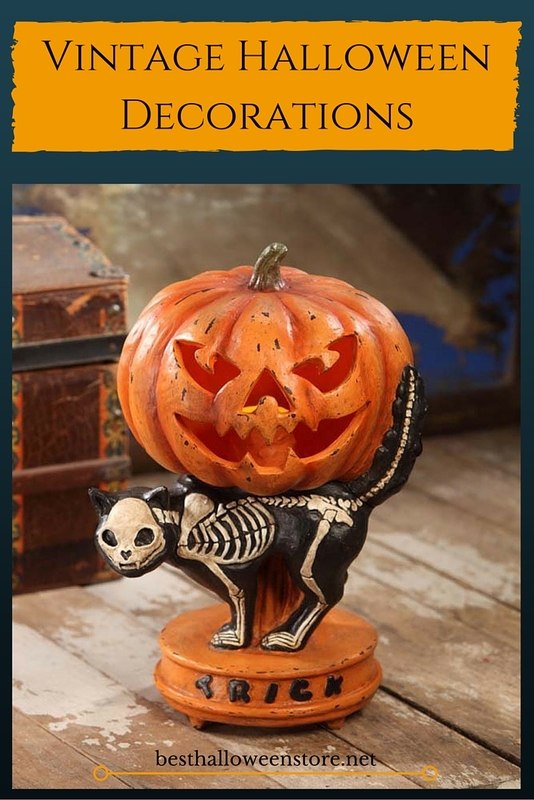 Super cute idea the kids will love! Place your submarine sandwich snake on a surface with a green plastic table cloth over it so it looks as if the snake is slithering through the grass. 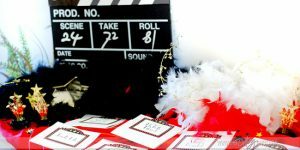 Get more ideas from Events to Celebrate. This is a super healthy treat the kids will love from Honey & Lime! 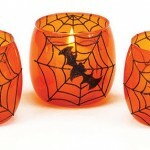 Use a small plastic cup, clear or one with a jungle theme. Place grapes of any color in the base. 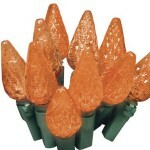 Plant a "tree trunk" in the grapes by sticking in a sturdy carrot stick or celery stalk cut a few inches tall. Using a toothpick, place several thinly cut apple slices so that they resemble the leaves of a palm or tropical tree, and attach them to the celery or carrot truck with the toothpick. 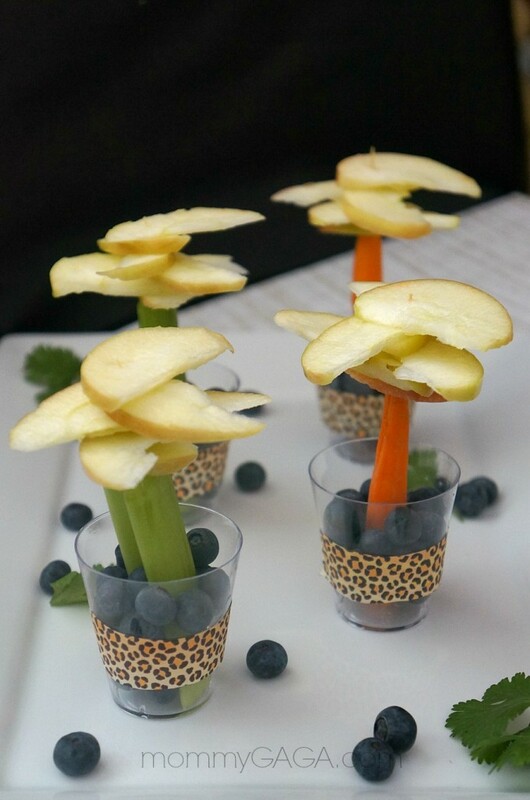 Super cute and a great way to get some healthy fruits and vegetables into your growing party guests. 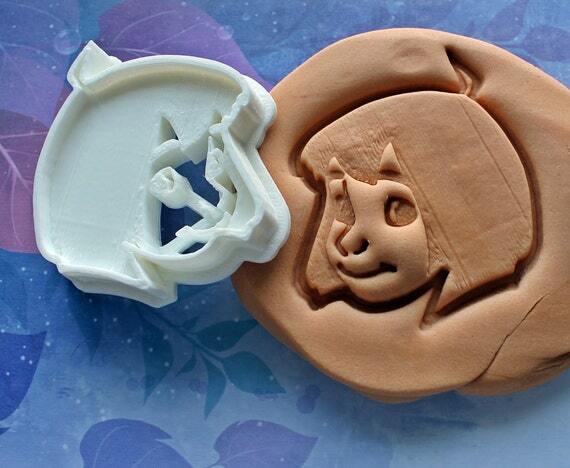 These handmade cookie cutters are made from PLA biodegradable material and feature the face of Mowgli from The Jungle Book. This Etsy seller also offers cookie cutters in the shape of Baloo and Bagheera from The Jungle Book. Use a simple sugar cookie recipe and cut out these cute shapes and bake cookies for your party guests to enjoy. 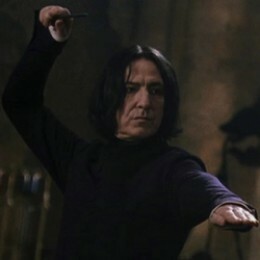 If you are feeling very ambitious, perhaps even have the kids help with making the cookie dough and rolling it and make the cookies at the party.